Extremists, Backwards, Uneducated, Strange. These are the notions that come up when non-Muslims think about Islam. 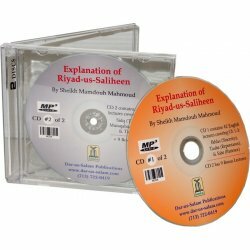 They build their "understanding" of Islam based on misconceptions. 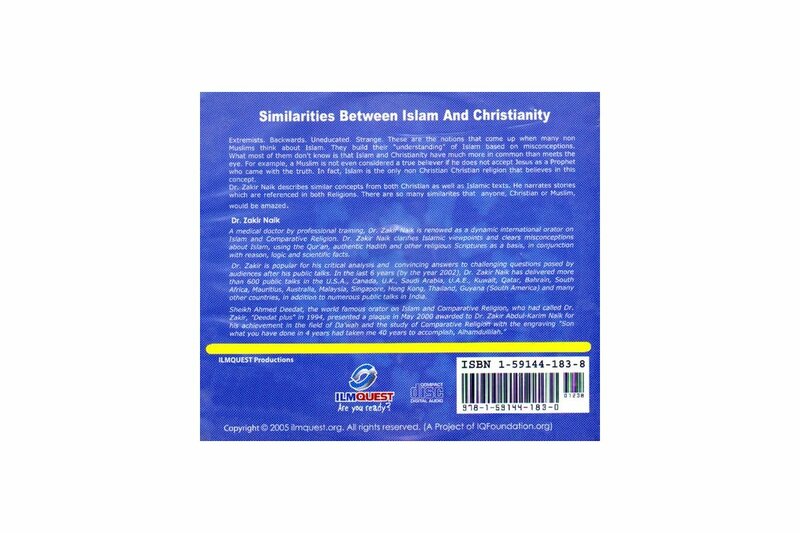 What most of them don't know is that Islam and Christianity have much in common than meets the eye. For example, a Muslim is not even considered a true believer if he does not accept Jesus as a Prophet who came with the truth. In fact, Islam is the only non Christian religion that believes in this concept. 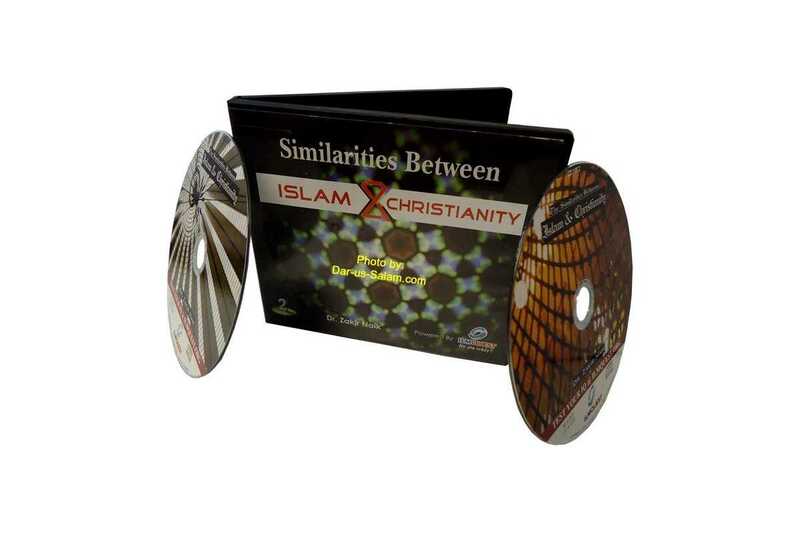 Dr. Zakir Naik describes similar concepts from both Christian as well as Islamic texts. He narrates stories which are referenced in both religions. 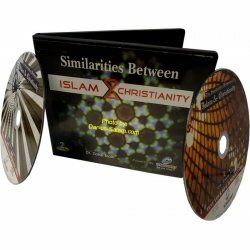 There are so many simialirities that anyone, Christian or Muslim would be amazed. Dr. Zakir is popular for his critical analysis and convincing answers to challenging questions posed by audiences after his public talks. 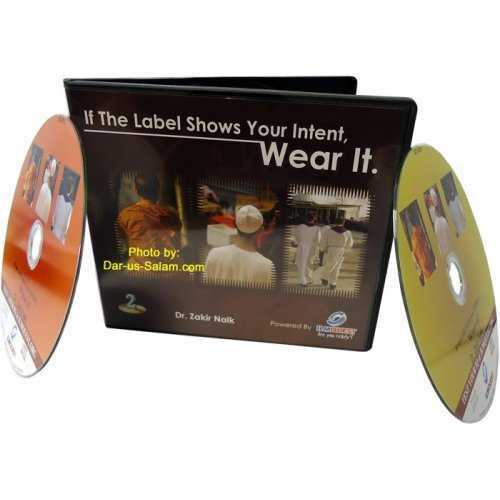 In the last 6 years (by the year 2002), Dr. Zakir Naik has delivered more than 600 public talks in the U.S.A., Canada, U.K., Saudi Arabia, U.A.E., Kuwait, Qatar, Bahrain, South Africa, Mauritius, Australia, Malaysia, Singapore, Hong Kong, Thailand, Guyana (South America) and many other countries, in addition to numerous public talks in India. Sheikh Ahmed Deedat, the world famous orator on Islam and Comparative Religion, who had called Dr. Zakir, "Deedat plus" in 1994, presented a plaque in May 2000 awarded to Dr. Zakir Abdul-Karim Naik for his achievement in the field of Da?wah and the study of Comparative Religion with the engraving "Son what you have done in 4 years had taken me 40 years to accomplish, Alhamdullilah. ?